I have heard many people say things like: "we stand perpendicular to the ground because that is what you do in Yang Style", "we don't stand perpendicular to the ground because it is Wu Style". As we have outlined in a previous blog "We have hips", we have not heard functional justification for standing perpendicular to the ground in postures. By functional we mean a coherent and comprehensive rationale directly related to why one should stand perpendicular to the ground. Frequently we hear: "Yang Style always stands this way", "my teacher said so", "it is for centering", "it aligns the acupuncture points with the ground", etc. and it leaves us wondering. 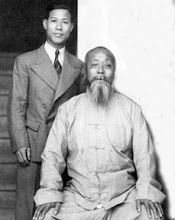 As Wustyle.com in Hong Kong reports:"In 1916 Grand Master Wu Chien Chuan, along with other famous Wushu experts of the time Yang Shao Hou, Yang Cheng Fu, Hsu Sheng Chi Tzu Hsiu, Sun Lu T'ang, Liu En Shou, Liu Tsai Chen, Chang Chung Yuan, Tong Lian Chi, Chiang Teng Tsui, Hsing Shih Ju and others established the Beijing Institute of Physical Education." These most famous teachers from "Yang Style", "Wu Style", etc., taught under the same roof. If I had to venture an opinion, I would say the teachers themselves were not going around saying, "I'm teaching Yang Style and because of that, the correct way to stand is perpendicular to the ground". My other opinion would be that it was not teachers but it was students who came up with the names, like: "I'm studying something from Yang", "I'm studying something from Wu". I would also venture another opinion and say, those gentlemen did not develop their arts in a vacuum...they also trained with each other, compared arts, pushed hands with one another, etc. That itself has profound implications. Q. 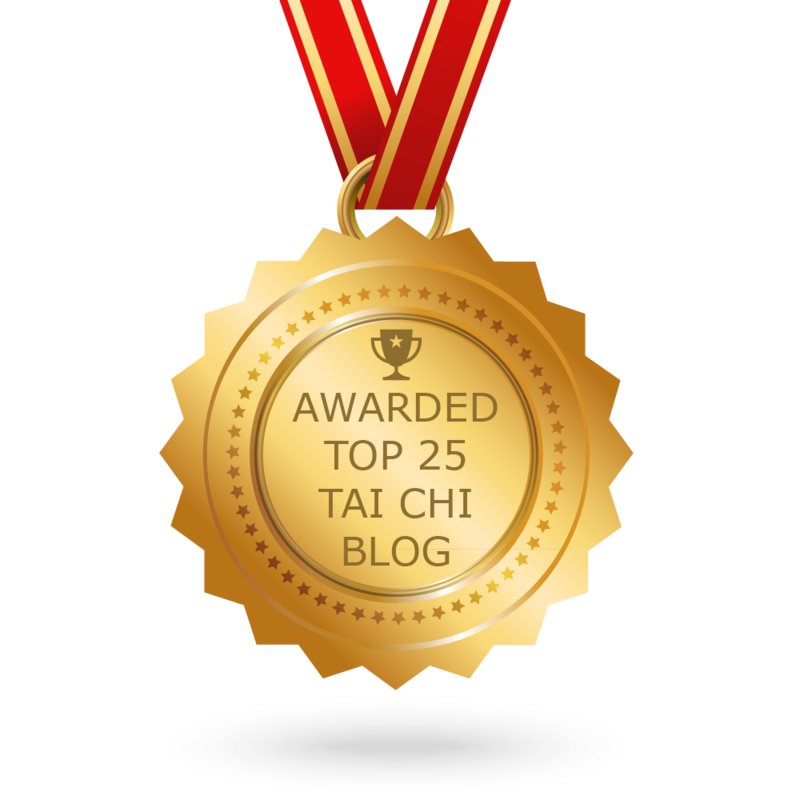 Why do you emphasize "classical" Tai Chi; and not "Wu" Tai Chi? A. According to my teacher Grand Master Young Wabu, he heard his teacher, the legendary master Wu Chian Chuan said that Wu did not change the Yang Tai Chi learned from the Yang’s. In fact, Wu Chian Chuan emphatically said, "It can not be changed". The fact is that the knowledge cycle of learning the classical Tai Chi to understand its eventual consequences is very long. To learn the Tai Chi form takes several years to be proficient. To test the effectiveness of what has been learned in actual martial art application takes another few years. To confirm what the health implications are, especially during older age, requires a human generation. Here we have the classical Tai Chi with its numerous components meticulously optimized to satisfy both the requirements of martial art application and health benefits. It must be a multi-generation effort. 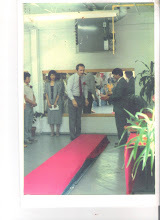 When Wu Chian Chuan taught my teacher, Tai Chi was already in such an advanced state. One can fully appreciate what he said, "It can not be changed". “When you teach or demonstrate the internal move “turning at the waist” in Classical Tai Chi, you likely will encounter questions “why not using kua/hip”. Most external martial arts and large numbers of tai chi schools practice the use of kua or hip for that turning motion. One example of such discussion could be seen at "Rum Soaked Fist"
That commentary says one will lose their balance if they turn in those postures from the hip. "Ma Jiangbao: This is connected to the last question. In the Wu style the feet are often parallel. If you turn in these postures from the hip, you will lose your central equilibrium. So we turn the body around the waist. In this way it is also easy to divert an attack and let it fall into the emptiness without losing your own central equilibrium." Anatomically, the hips and waist are different but one could certainly turn the waist without turning the hips but the reverse is not possible. "Distinguishing the Hip and Waist"
May I humbly submit, I have direct knowledge of that apparent conundrum. I studied with both sides of that question with the Wu Family, then with Master Stephen Hwa. Not stated is how frame size has such bearing on whether unjudicious, called “overturning” hip causes feet to move upsetting the balance. Also, one can indeed turn such amounts of hip in a larger stance. What is also not mentioned is that the legs play a major role in such movement. What really happens is that one leg is literally pushed down at the ground resulting in the body moving into the other leg. However, in the smaller frame of Classical Tai Chi, one leg is used to pull the body into the other leg. Proper use of hips in coordination with waist as shown in the cooperative push hands (although push hands is not shown in this clip one can certainly see the up close "fa jing" power and it is minus ANY hip turning...is it not?) training of Tao of Martial Applications DVD . This is indicative that turning the hips is not eschewed, it just means that it should be done with right timing. For example, one could offset an opponent’s balance in a close up confrontation using internal discipline (internal movement) then a much larger step (stance) could be taken whereby the opponent is thrown to the ground using motion of the hips in the process (external movement). The motions of the "repulse Monkey" section of the form come to mind there as an example "Repulse Monkey"